Well, parts of this fairy tale are true. There was a beautiful young English girl, an adventure and certainly some chickens. Lots and lots of chickens. The English girl is Emma Lane. She did rescue two chicks from the feed baskets of a snake breeder at her first Australian agricultural show, only to discover that little fluffy chicks grow to become large, messy chooks and an inner-Sydney apartment is not the best place to keep them. The adventuress became a damsel in distress. Enter our hero, Tom Lane, chicken fancier and hobby farmer. 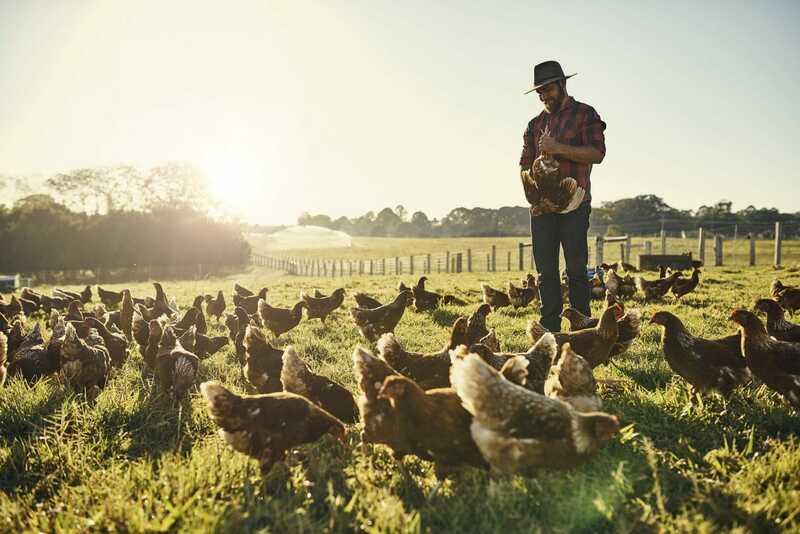 One thing led to another, like the chicken and the egg…or the egg and the chicken and Tom and Emma married, had four children, left Sydney for northern NSW and started The Farm in Byron Bay. And so, the fairy tale begins. The creation of The Farm is a wish come true for Tom and Emma. They observed how the daily chores of working their own small patch in Federal connected their children with the earth and reasoned that if cultivating their own beans, berries and bum-nuts (that’s eggs, to the uninitiated) could transform their kids into enthusiastic greens-eaters, logically, it could do the same for others. Overnight, The Farm was conceived. The Farm is a working farm and a village, shared by a community of growers and open to the public. They produce 20 tonnes of organic vegetables from 80 acres of garden, scratched at by 400 free-ranging chickens, 30 head of cattle and 20 free-range pigs. 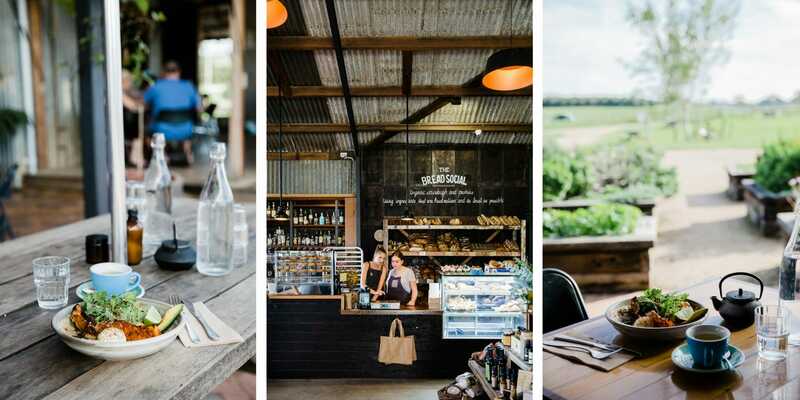 Alongside the crops and animals is a bakery, The Bread Social; the Three Blue Ducks restaurant; a marketplace, the vendors and growers shop; and an open-air bar. The bar is a great place to start discovering the second layer to Tom and Emma’s dream: sustainability. All of the beers and wines are on tap. Tom, who is a brains-trust of statistics, estimates that this bottle-free system saves 30,000 bottles and related packaging annually. Similarly, every meal prepared at the Three Blue Ducks comes from farm produce. If there is a shortfall from The Farm gardens, the chefs reach out to 50 local farmers from a network of organic farms in the area. In a far paddock grazes the herd of Scottish Highland cattle. Nearby are the pigs, rootling happily in their free-range paddock. These animals are raised on The Farm, far from the horrors of feedlot enclosures, force-feeding, concrete stalls and antibiotic injection regimes. Tom comments on the flack The Farm has received from those opposed to the idea of animal slaughter for food. Cb: Do you ever think that ironically, you may be creating more vegetarians? They also have plenty of macadamia nuts and here starts a third layer to Emma and Tom’s dream. The macadamia plantation is open to the public to gather nuts as they wish, for free. Scattered about the macca grove are several pre-industrial nutcrackers, ready for the gatherers. “It’s great to see a kid pick up a nut off the ground, crack it open and realise that this is where the nut comes from, not from a plastic bag. So that’s why we don’t actively harvest the nuts. We get a couple of tonne out of here,” says Tom. Emma is referring to Farm Kids, which teaches simple farming practices to children, from veggies to bees. The same is offered to adults, with additional tuition in such ‘how to’ topics as pasteurising pork, beekeeping, stone masonry and geomancy: the ancient art of land healing. The impact on the water purity in the creek has been measurable and remarkable. Water samples taken show a ‘phenomenal improvement’ from the samples taken on entry. And now, native birds, fish and eels are returning to this regenerated natural environment. In thirty years’ time, Tom believes the rainforest canopy will be fully re-established. The donation to the heritage listing and the replanting was done as a personal investment by Tom and Emma, in line with their philosophy of giving back to the community and the land. This philosophy gave rise to the community gardens, opened up to independent farmers at no charge, including the free use of farm equipment and irrigation. “We see ourselves not as a monopoly, but as an incubator, for growers as passionate about the land as we are who couldn’t otherwise afford to farm,” says Tom. The growers trade with the Three Blue Ducks restaurant, establishing their own businesses within The Farm village. But when it’s harvest time, everyone pitches in, even the chefs. Near the farmers’ plots is the hospital garden, given to the nearby Byron Bay hospital; patients are encouraged to sit and enjoy the natural landscape. Tom and Emma look forward to the day when NSW Health regulations allow them to supply the hospital kitchens with fresh, organic produce. The Farm also supports Liberation Larder, a group that grows nutrient-dense foods for homeless and deprived community members in the area, preparing 500-600 meals per week, and The Shift program, a women’s shelter offering free workshops on creating a self-sufficient kitchen garden. It is a truism of every fairy tale that following your heart will lead you to your heart’s desire, but Emma remembers just three years ago when they opened their doors for the first time, not at all sure if anyone would understand what they were trying to achieve. “We sat there the day and watched as the families trickled in. We both had a tear in our eyes,” confesses Tom. Emma believes that the cohesion The Farm community enjoys began with the mission statement she and Tom wrote at the start of their journey. “It’s a farm, so it’s a work in progress. It isn’t finished and probably never will be,” adds Tom. The velocity of their success feels a little like eating an elephant in three bites, he says. Despite this, The Farm looks and feels embedded. They are planning a citrus orchard and hoping one day to work with council to realise their dream of including a farm stay element. They are also launching The Beach House, near Lennox Head, with a similar ethos but focussing on marine and coastal sustainability. Sometimes the blessings come in elephant sized loads. Like 900 kilos of eggplant in one harvest. As waste is definitely not on the menu at The Farm, the growers and the chefs collaborated to devise a dish with eggplant tempura and chilli jam so outstanding Emma begged them to keep on the menu. The Farm is a village – a diversity of micro-businesses working together under a common ethos. Tom and Emma are taking that ethos to like-minded developers around the world; they believe that multiple small, community-focussed projects are the way of the future. To help spread the word they have produced The Farm Community, a book exploring how the farm developed through the common values of simplicity, sustainability and real food. It offers a blueprint for others connecting with local communities and explores simple projects, as well as 50 recipes collected from across The Farm’s community. And what is our Earth but a big, green farm in space? The imperative that we sustain it is no fairy tale. 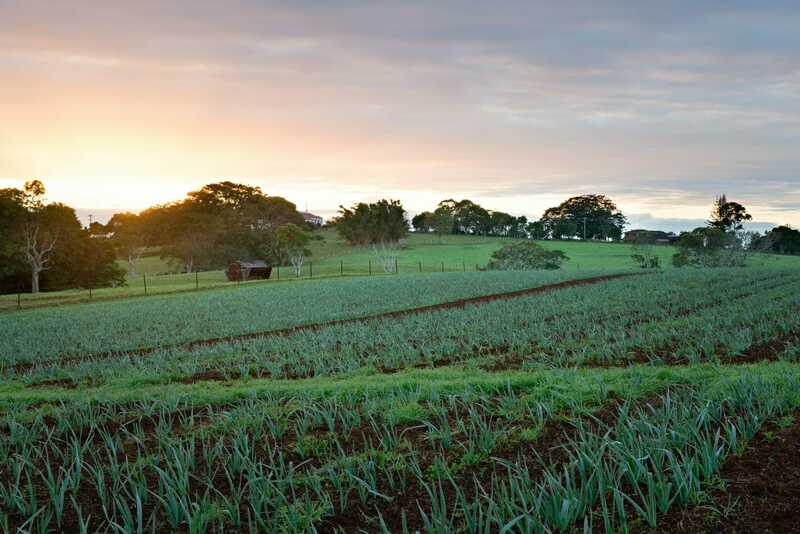 For more information, visit www.thefarmbyronbay.com.au or find them on Facebook here. Views expressed by the authors are not necessarily those of the publisher. Whilst all care is taken in the preparation of this publication, the publisher accepts no responsibility for any errors and/or omissions. Copyright is reserved. No part of this publication may be reproduced without the express permission of the publisher. Subscribe to the Coastbeat e-newsletter for your chance to win a $250 Kathmandu gift card! 3. 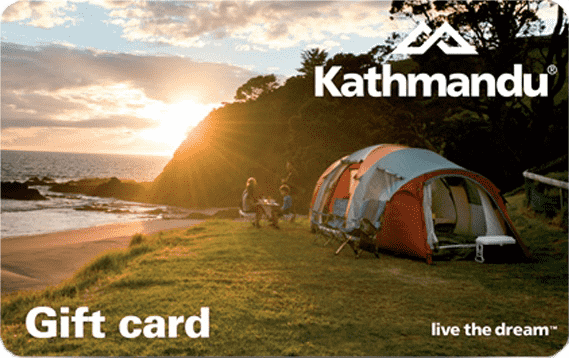 We'll put you in the draw to win one of 3 $250 Kathmandu vouchers! Get the best of Coastbeat straight to your inbox! Subscribe (it's free) and you'll get a regular email from us with the best bits of North coast life, plus a link to the latest magazine.